Get to know your date or rediscover your partner. The astrological series ‘No More Frogs’ consists of one book for each star sign, each book with a male- and a female section. The information is right there at your fingertips. You’ll get hints and tips, dos and don’ts - and even a quiz at the end. Each book has one male and one female section. Enthusiasm, positive energy, impulsiveness... you better keep up! This book will provide you with useful hints in order to get your foot in the door. 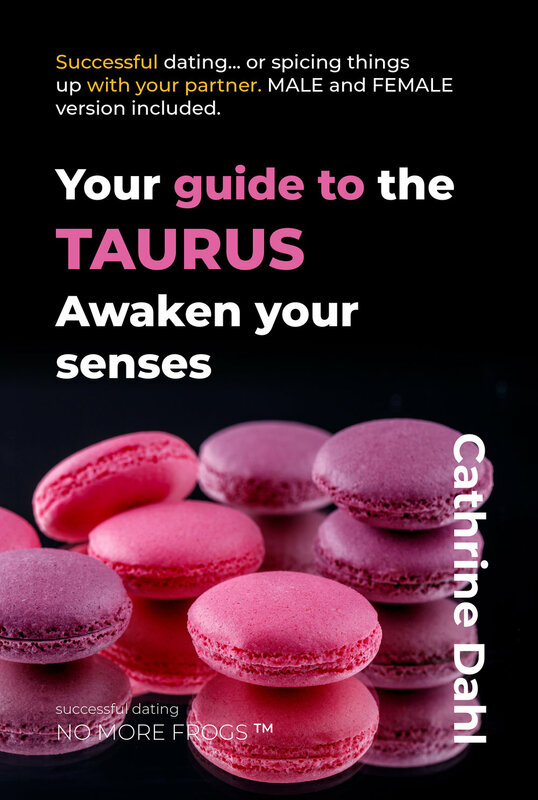 Slow down and enter the sensuous world of the Taurus. A tender romance or a hot seduction...? Read on to get some useful insight. Seize the moment, be impulsive, be enthusiastic - or be left behind by the Gemini. This book will guide you in the right direction. Seductive femininity, sensitive masculinity, romance, magic... and a challenge when trying to capture their interest. Get a few hints. Charming and playful... it's easy to forget you're dealing with the perfectionist of the zodiac. Hit the road or hit the jackpot? It's in the details. It's like taking time-out from the world. The Libra is beauty, harmony... and a firm goodbye if you don't live up to the expectations. Seductive, mysterious and intense... the world of the Scorpio does not have any roadmaps. Get some clues to keep you on the right track. Fun, friendly and free - retire your possessive and negative sides. Embrace the joy of life - or the Sagittarius will embrace someone else. Cute and sassy or hunky and masculine... it'll do for a date. Long term? You'll get nowhere with the Capricorn without connecting your brain! Got options…? Might as well go for the complete manual. Choose your guide to the MALES or the FEMALES in the zodiac. Silent and mysterious or outgoing and energitic...? Explore the magical word of the male. "No more Frogs" is your ultimate manual and will guide you through all the males in the zodiac. Discover the mysteries behind the women in the zodiac and get a head start before going on a date. This complete manual includes all the twelve star signs. No More Frogs consists of 14 astrological books. This is Cathrine Dahl’s second astrological series. Visit Cathrine Dahl’s author page on Amazon. Feedback, questions and enquiries: Click to contact.